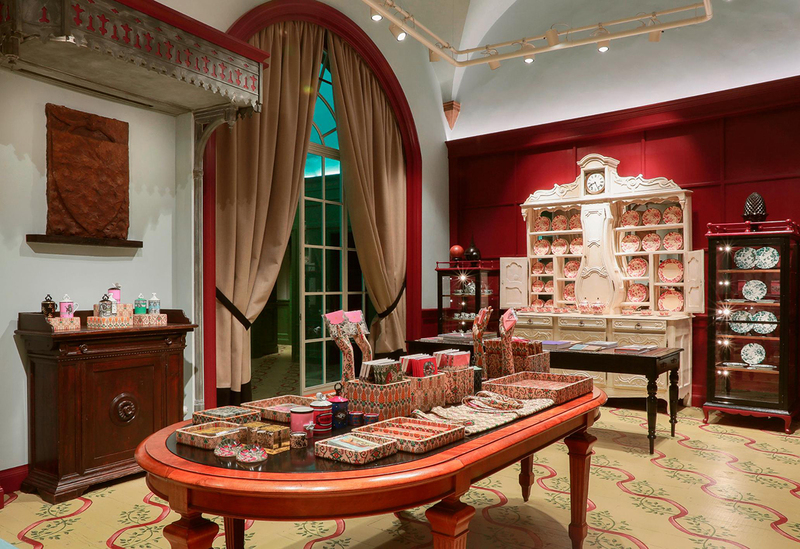 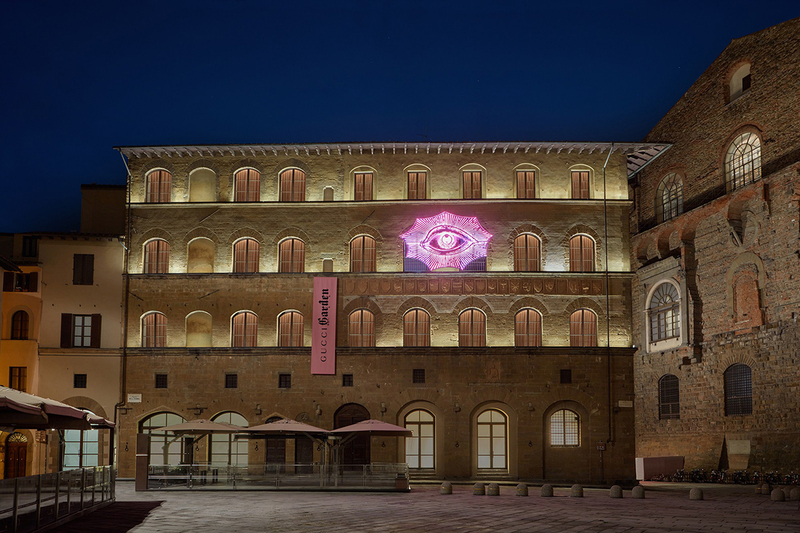 Gucci Garden is inside the historic Palazzo della Mercanzia, which housed the Gucci Museo. 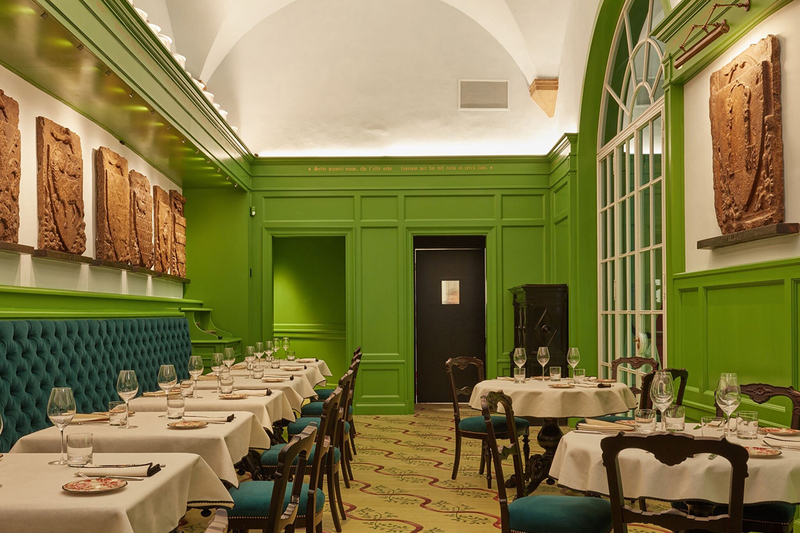 The newly designed space features a store with one-of-a-kind items, the Gucci Osteria da Massimo Bottura— a restaurant by three-Michelin-star chef—and the Gucci Garden Galleria exhibition rooms curated by critic Maria Luisa Frisa. 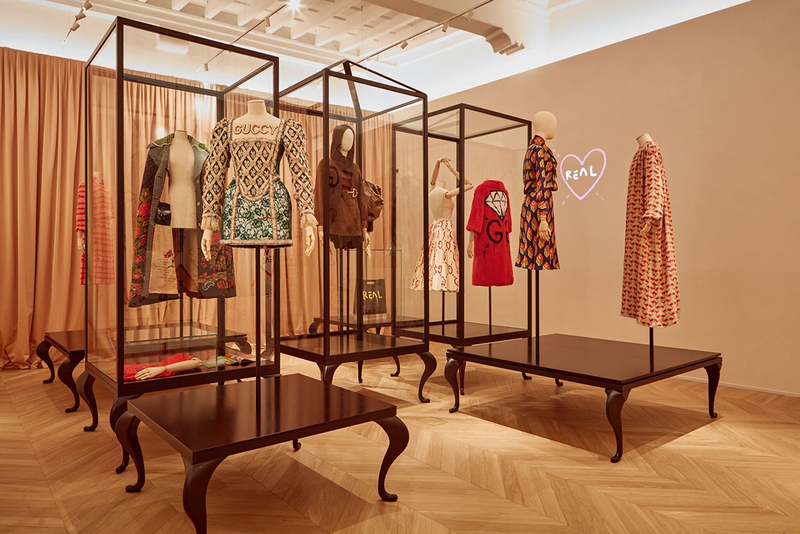 Divided into a series of themed rooms, the Gucci Garden Galleria narrates the House’s new vision while celebrating the archives including old advertising campaigns, artisans’ images, retro objects.